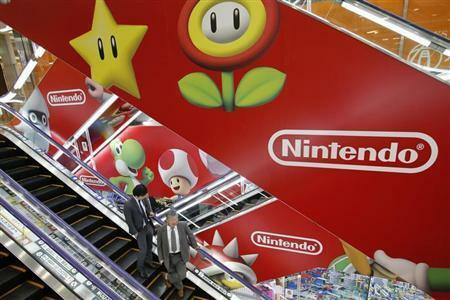 TOKYO (Reuters) - Former Nintendo Co Ltd President Hiroshi Yamauchi, who built the company into a video game giant from a maker of playing cards during more than half a century at the helm, died on Thursday of pneumonia, the company said. He was 85. Yamauchi was the third-generation head of the family-run business, founded in the ancient Japanese capital of Kyoto in 1889 as a maker of playing cards, and served as president from 1949 until 2002. He was an executive adviser to the company at the time of his death. Under his leadership, the company developed the Famicom home game console and the Game Boy handheld player that helped to usher in the era of home game machines, which in more recent years has been dominated by Nintendo's Wii, Sony Corp's PlayStation, Microsoft Corp's Xbox. Yamauchi was listed by Forbes magazine as Japan's richest man just five years ago, when Nintendo was flying high with the launch of the Wii with its motion-sensing controller, although the company's fortunes have since faded as smartphones displace consoles among gamers. His net worth at that time was estimated at $7.8 billion. He was ranked 13th on the latest Forbes Japan list released this year, with an estimated net worth of $2.1 billion. Yamauchi bought the Seattle Mariners U.S. major league baseball team in 1992 when the franchise was struggling, although it was later taken over by Nintendo of America Inc.